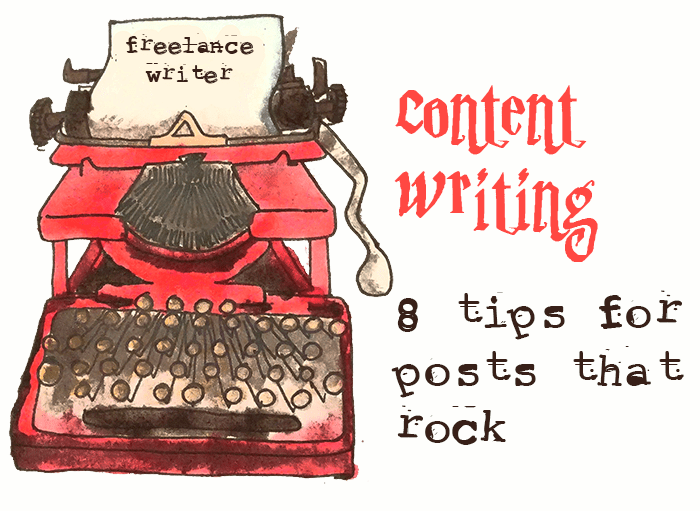 How to rock at good content writing – tips from this freelance writer to you! My first consistent job as a freelance writer was churning out social media content. I had never done this before, but I had been doing a lot of networking, created this website to serve as my resume, and picked up free or small paying articles to generate a modest portfolio. Thanks to a connection and my website, I snagged the job. I have now been writing social media content for small businesses for about three years. Content is the most important thing. Blog posts matter. It’s not a fading hobby from the early 2000s. When you write great content based on important keywords for your business or industry, which turns into traffic and growth. Write a short but strong title. People won’t click on the post if the title doesn’t make sense, is screaming “CLICKBAIT! !”, and has a focus. One idea is to determine that for these two months, all of my articles are going to be about this specific keyword. Then include that word in every single title and include it in your meta tags. Use images. For the company I work with for my consistent social-media-content work, they have partnered with a stock-image site for us to use. This is rad because I don’t have to make my own images or search for free options on the web. On my own website, I do create my own so I often draw doodles to go with my content or reuse my typewriter drawing. It’s my personal branding. Images matter because they look good (instead of just a bunch of text), and they make it prettier for others to share your post. Twitter, Facebook, Pinterest, and other social media sites will automagically pull an image to post with your link when somebody shares it. Give them a good image and the likelihood that others will re-share goes up. Share all the love! Write clearly and concisely. Lists are good. People like lists. Be clear about the point of your blog post. What is the goal you have in mind? Do you want somebody to buy a service you’re offering? Tell them at the start, in the middle, at the end, and throw in a graphic to remind them how they’ll love your service. Don’t hint at your goal. State it and mean it. Link to your own content. The longer you can keep people on your site, the better! Cite correctly. I will never forget the day that I had an email from an editor stating that my blog post I submitted looked like plagiarism. That was absolutely NOT my intent, but I didn’t cite correctly. If in doubt, link to the source. Thankfully, I could fix my issue with the post prior to any publishing and had worked with the editor long enough that we still have a good, working relationship today. But learn from MY mistake and be safer than sorrier. Remember the DESIGN of your site. If your font is too small, the typeface is difficult to read, the background is distracting, you don’t break up your content into small paragraphs, and you neglect to use lists, people will leave because they’re turned off by the look of your online presentation. I hope these tips help you rock content creation. What have you found that helps? Want more tips on freelance writing? These are good ones!